With the Roubaix stage over, the teams were flown across northeast France to the foot of the Alps, for the first rest day. Mollema said he was pleased to rest up after his crash, but reported on his Twitter account: “Feeling pretty sore with a painful and stiff back. Hoping a few hours of massage and treatments will get me ready for the Alps!” Unfortunately, three multi-climb stages awaited. 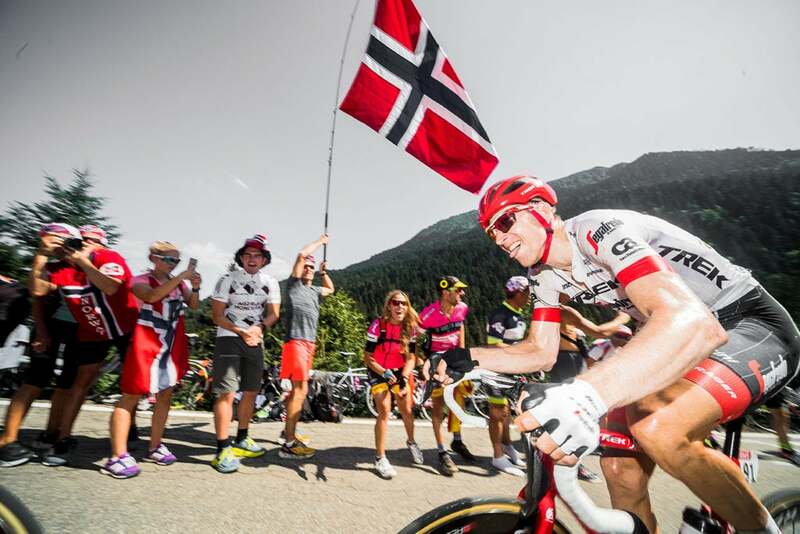 The Dutchman managed to survive the first, conceding just under a minute to the other team leaders; but the second one, although only 108 kilometers long, contained two above-category cols followed by a 17-kilometer-long haul to the finish at La Rosière. When a leader’s GC ambitions have disappeared, especially because of an injury, it’s tough to recalibrate your Tour. 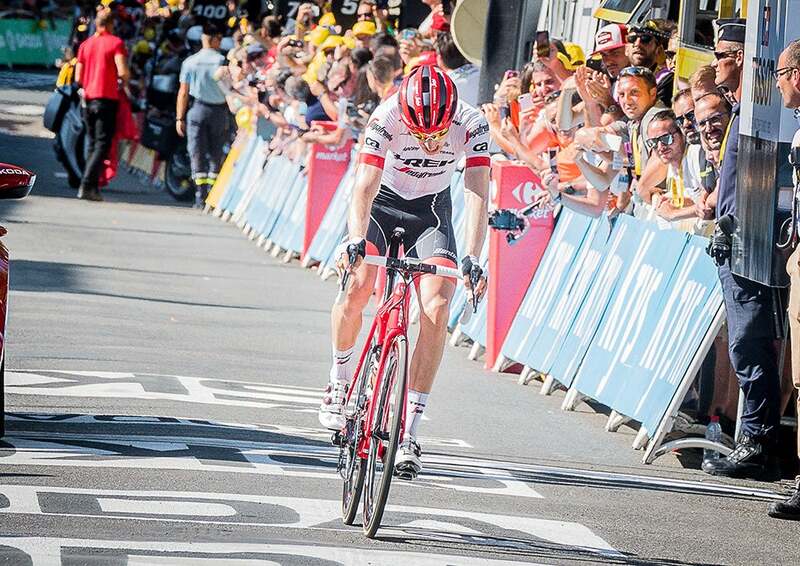 Two years ago, Mollema was challenging for the yellow jersey in the final week, lying second with just two alpine stages to go—and that time a crash shattered his chances and he finished 11th in Paris. Last year, he focused on the Giro d’Italia and came in seventh, while his Tour was dedicated to helping then Trek team leader Alberto Contador. 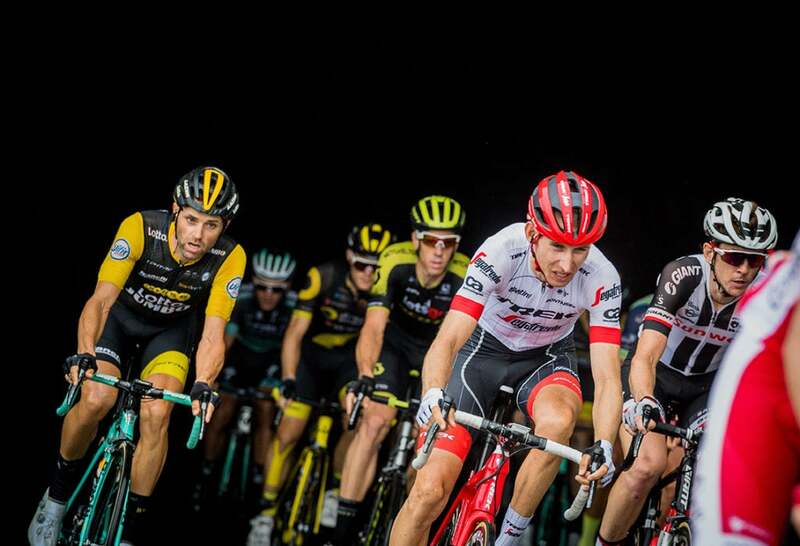 After two weeks, Contador was more than five minutes back of leader Froome, so Mollema had his chance to get into breakaways—and he proved the strongest in a large breakaway group on stage 15 to take the win in Le Puy. Perhaps he could do something similar this year in his recalibrated Tour. 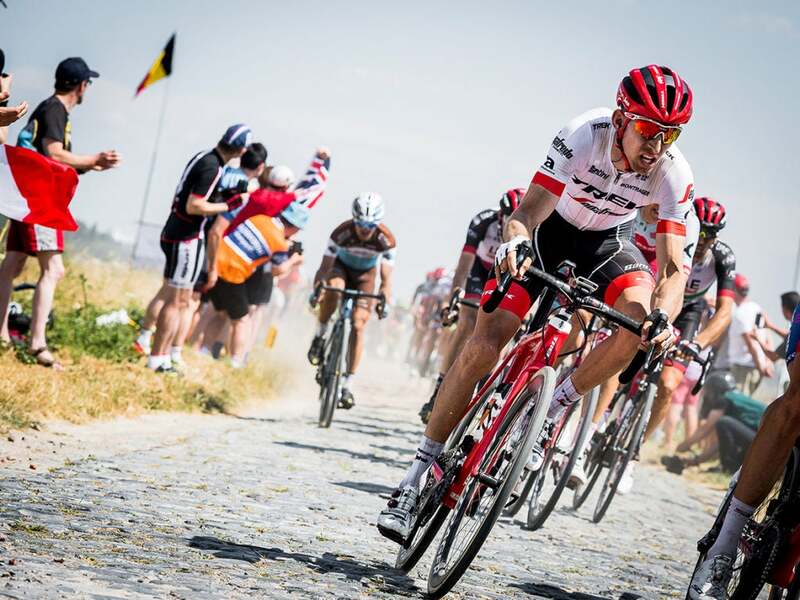 Mollema got some inspiration from his teammate Jasper Stuyven, who managed to get into the 32-strong breakaway on stage 14 into the hilly terrain of the Cevennes. Stuyven, who’s a spring classics specialist, wasn’t expected to challenge the climbers in that breakaway group, especially as the stage finished over the top of a 3-kilometer, 10-percent climb at Mende. Stuyven surprised everyone by setting out alone with 35 kilometers to go in his bid for victory, not dissimilar to the attack Mollema made to take his stage win last year. Stuyven didn’t quite make it, but maybe a teammate could do it the next day on another hilly stage across the Massif Central to Carcassonne. Things looked good when three Trek-Segafredo riders got into the day’s 29-man break: Julien Bernard, Toms Skujins and Mollema. The three played an aggressive part. Bernard struck out early before being caught on the final climb, with 40 kilometers left. Skujins and Mollema then made it into the eight-man move that formed on the flats prior to Carcassonne. And Mollema got clear with two others in a split with 7 kilometers left. The second rest day gave him time to recover; but it was a big ask to get into another breakaway so soon. 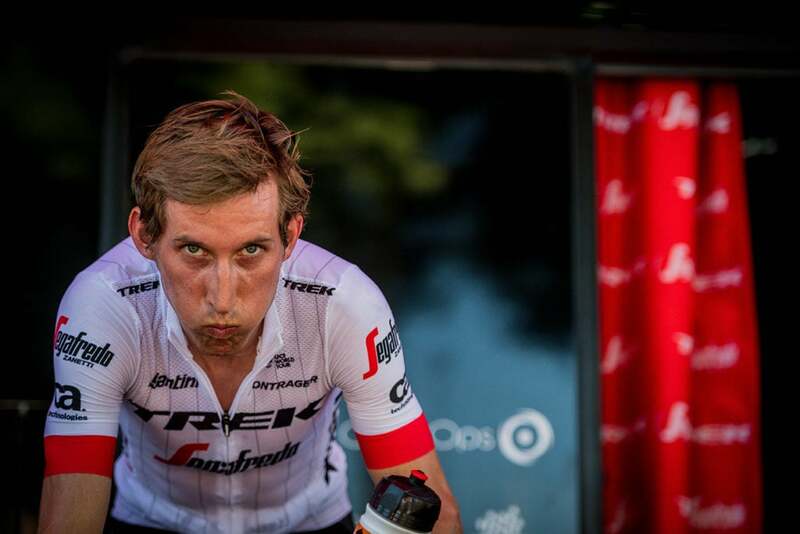 As Mollema would say: “Going for stages is definitely completely different than racing for GC. 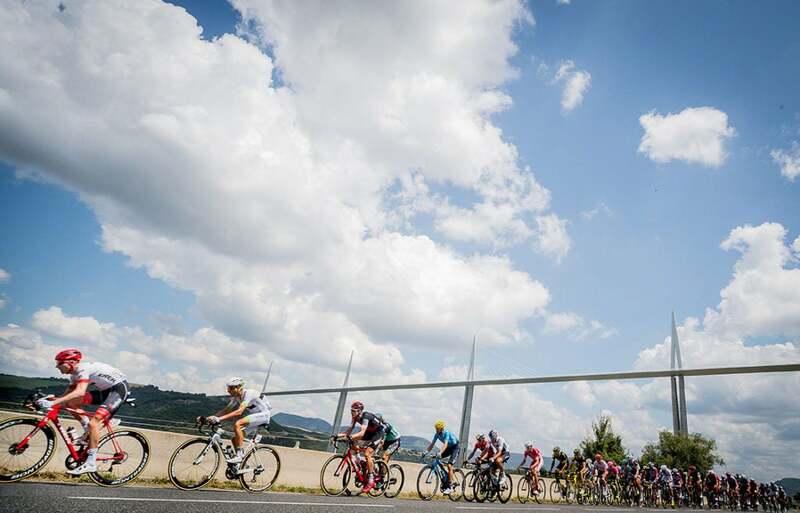 It is for sure not easy to get in the breakaway; you can tell that everybody wants to be in it, and in the end a big group goes with a lot of strong riders in it.” In fact, it was more than 100 kilometers of in-fighting before a massive break of 47 riders went clear on stage 16 as the race entered the Pyrenees. 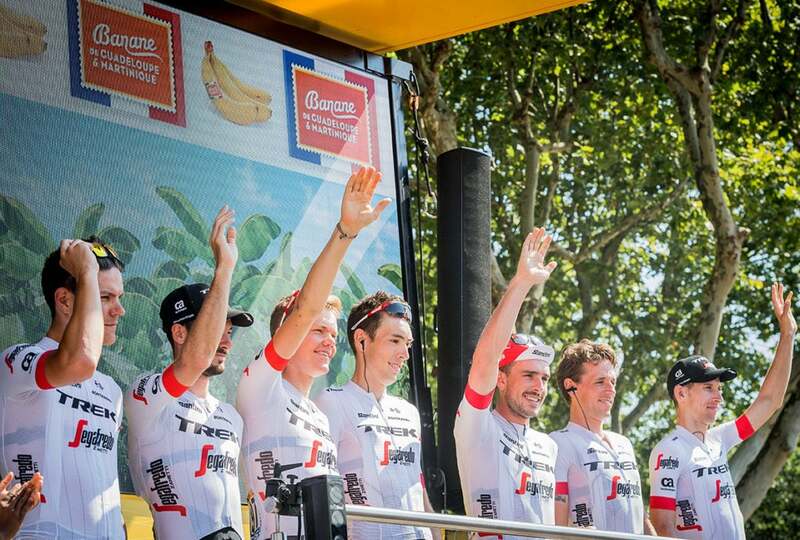 This time, there were four Trek men: Mollema, Bernard, Stuyven and de Koert. The last two mountain stages were even more challenging. 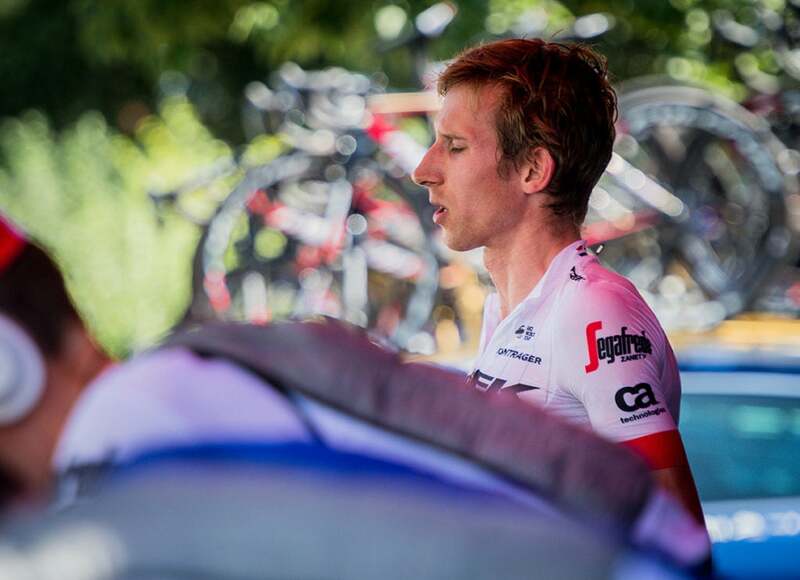 Mollema again went into the early breaks…and neither of them stuck. But no one could say that, after his crash on the cobbles changed everything, he hadn’t tried. The Tour de France is unforgiving.